ID Tech MiniMag - Tracks 1 & 2, USB interface. Includes USB cable. Color: black. 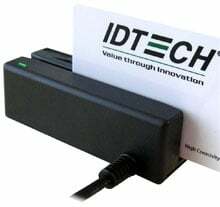 The ID Tech IDT3331-12UB is also known as IDTech	IDT-3331-12UB	or IDT333112UB	.